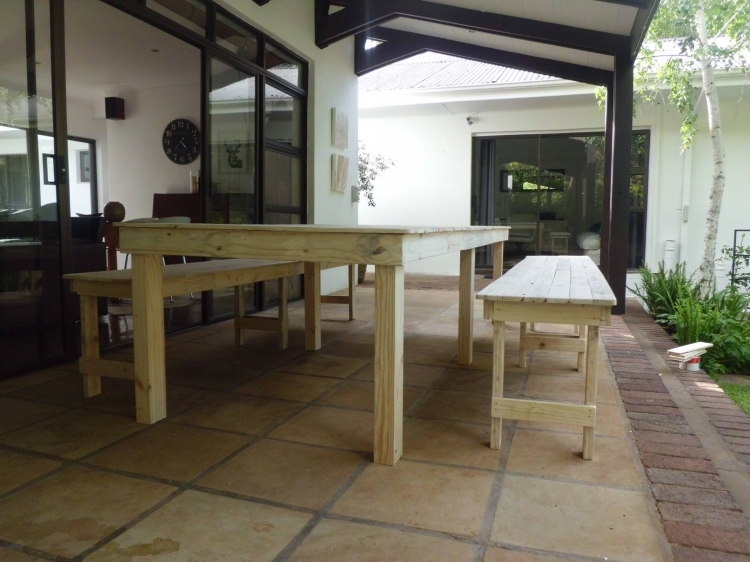 When was the last time you purchased some fine dining table for your house? If this isn’t too old you can very well figure out the sky high prices of the wooden products right? Well, this is one of the major reasons that compelled us to work hard on the pallet wood creation derive to make you guys realize that don’t always trust in others, invest some trust in you and you would become a real macho man who can do all the pallet wood work at his or her own. 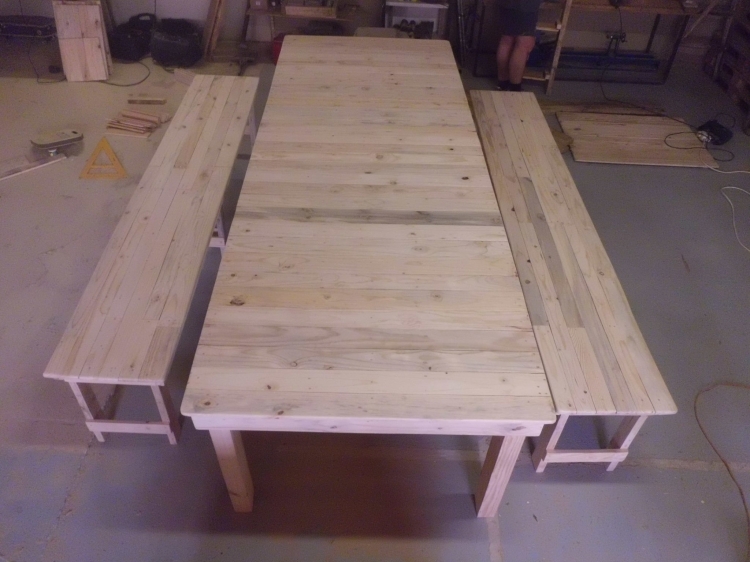 Why not to start with this pallet wood dinning room set? In the West we guys are always running short of time. We work all the day long, and the rest of the time is consumed by the gadgets and electric devices, we are literally living a robotic life. In this tight schedule, having a meal along with the family would be a relief. Especially when you are serving the food on some dining table that you have recycled at your own in your domestic workshop, so this would be a great feeling outright. Let’s talk about the structure and appearance of the dining table a bit. Though this isn’t that fancy and complicated as the market oriented furniture items, but its simplicity has got its own charm. We have kept it quite straight and simple. 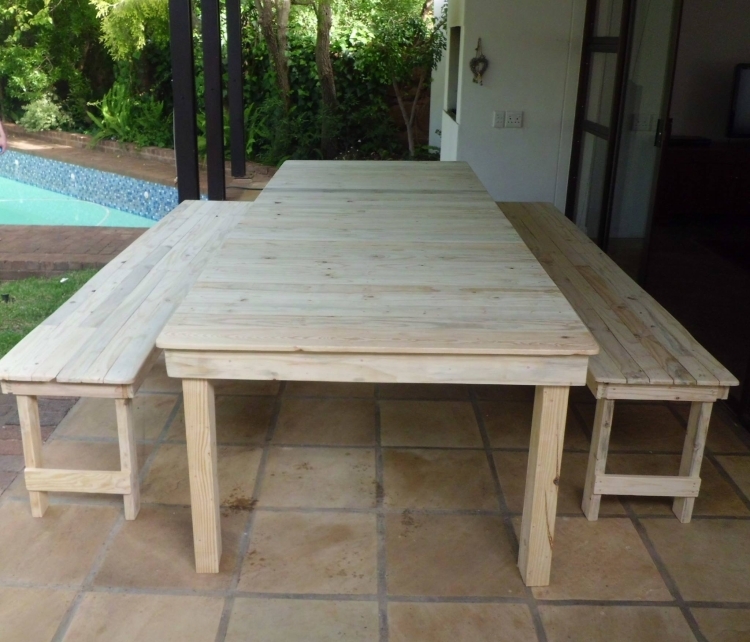 There is a long pallet wood repurposed dining table along with two equally long benches that can accommodate the whole big family at the same time. We just took care of the sanding and assured that the shipping pallets were not contaminated because we have to use the table to serve the food. 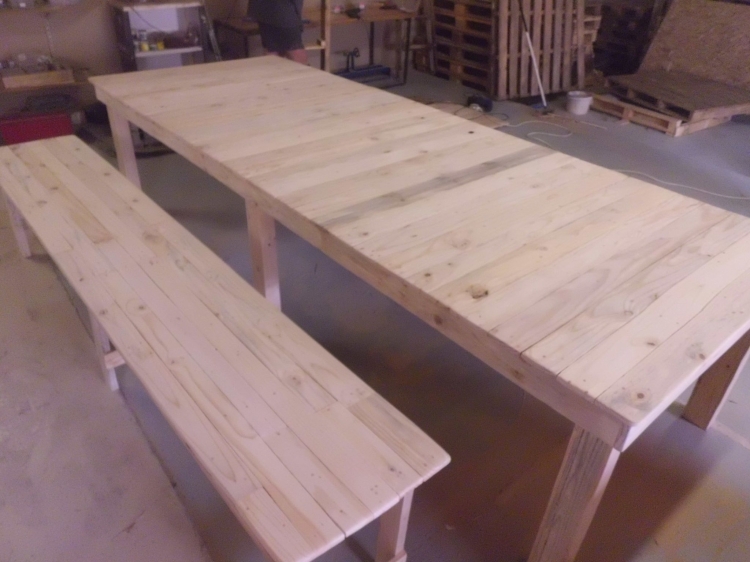 After ensuring the hygiene we just started the project, and with the simplest design we came up with this pallet wood dining room set.